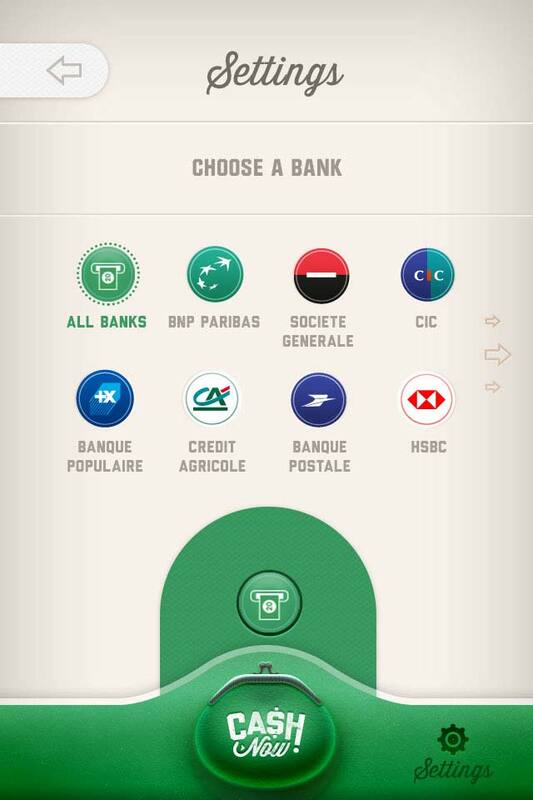 Cash Now is the easy-to-use app that geolocalizes ATM machines near you, whatever bank you deal with: Citigroup, Bank of America, Chase, Cic, Lcl, Société Générale, Santander, HSBC etc. Your Atm is no more hidden. Cash Now is the easy-to-use app that geolocalizes ATM machines near you, whatever bank you deal with. Works Worldwide. Anywhere in the world, find an atm and get your cash. We show you the best way to the nearest ATM. Which functionalities would you add for Cash Now?